Feel like taking it easy? So do these Pugs! 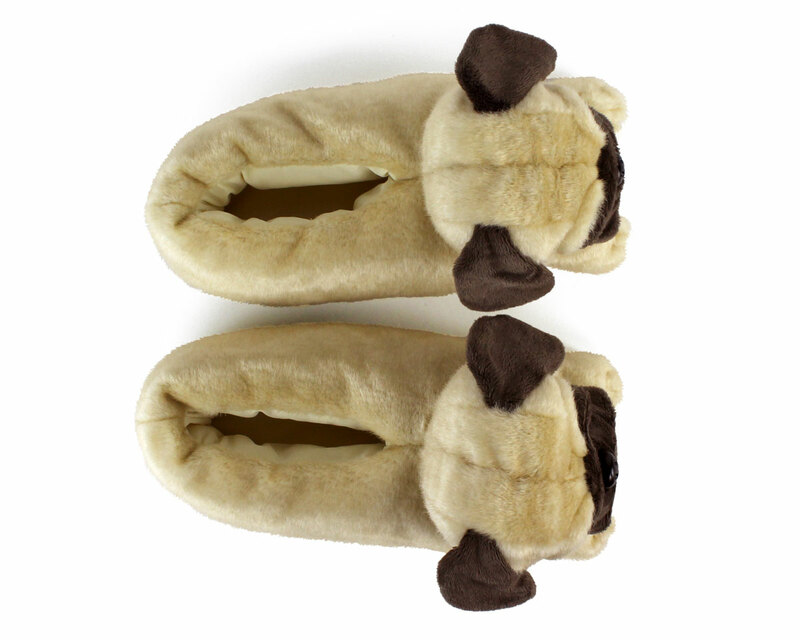 With a wrinkly head, a short muzzle and a fawn colored coat, our Pug Slippers might be the most adorable tribute to the breed we’ve ever seen. 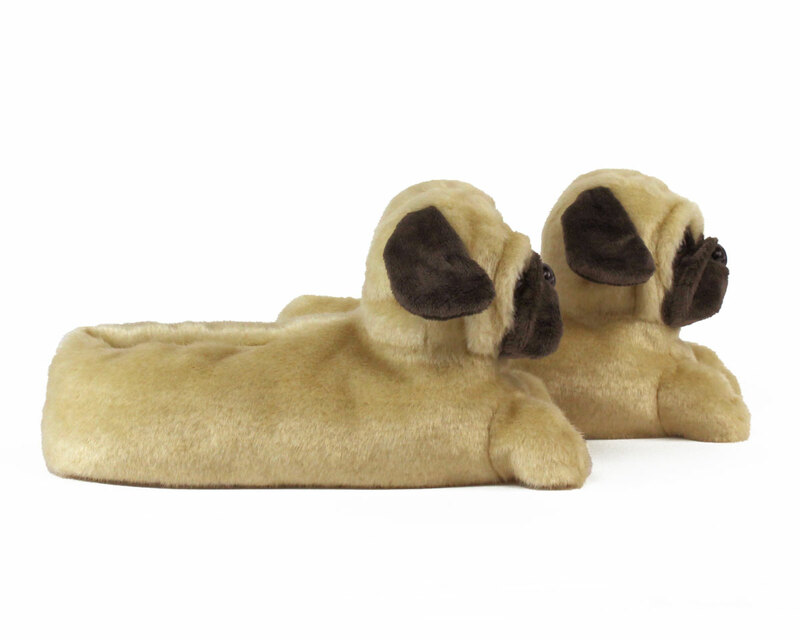 You’ll be living a pug life in no time with your two new best friends. 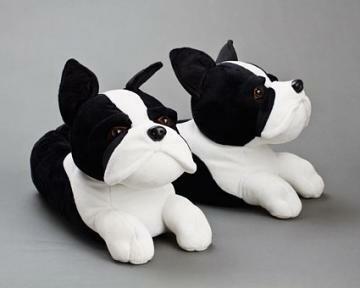 I am very pleased with the slippers and the service. I had to change the size of the slippers and I received an email within two or three minutes acknowledging the change. Great! Awesome! Great quality. Giving it as a Bday gift. Love my slippers!! They are great quality and keep my feet warm. Only negative is my Puggle thinks they are real and has tried to play with them while I’m wearing them. 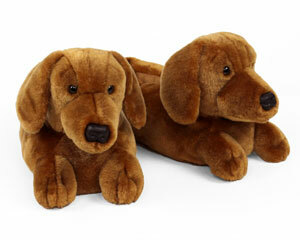 Disadvantages: Pets may find them interesting or “real”... don’t leave them laying around unattended. Fabulous company, fabulous service & delivery. I recommended yall highly. They came quickly and my wife likes them. She says they're warm and cozy. Disadvantages: A little big for size 7.5 women's foot. 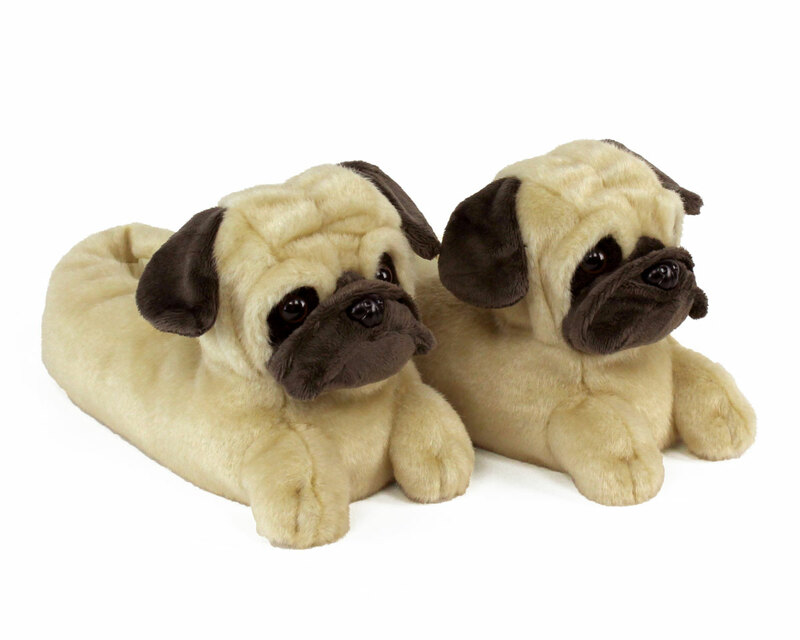 Great pug slippers, very comfortable, very warm, very well made, highly recommend. They're awesome!! 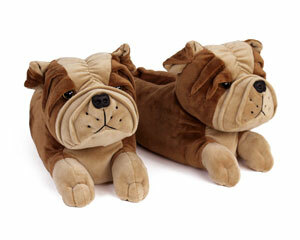 Cute & soft.I love them!! Disadvantages: Unable to wear to work!! This product came as described! 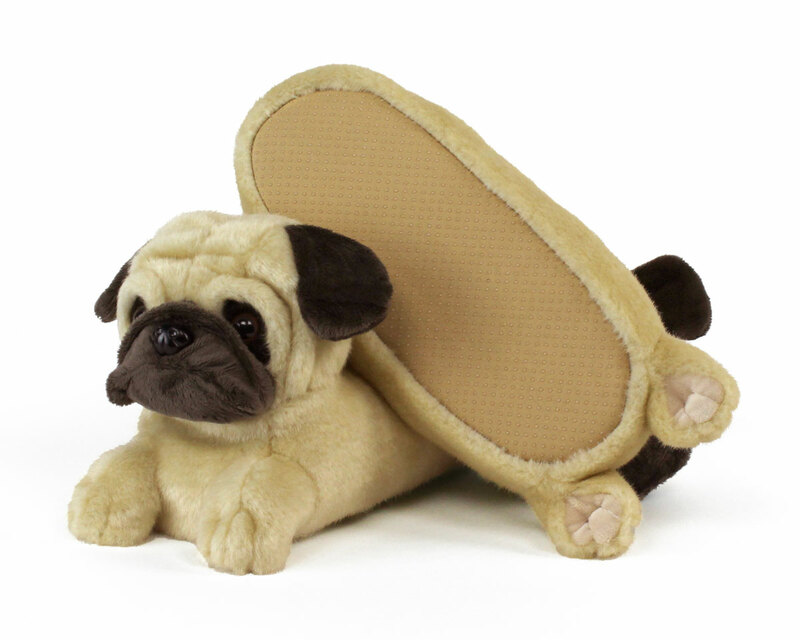 Very warm and soft, and just generally good slippers. 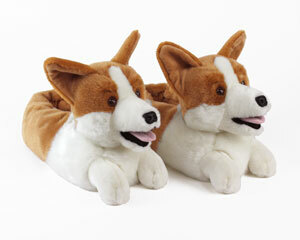 Advantages: Warm, soft, high quality slippers.